This recipe is quick, easy to make and taste perfect at the end. It also has no sugar. 1.) In a large bowl place your butter(room temperature ), flour and cheese cream. 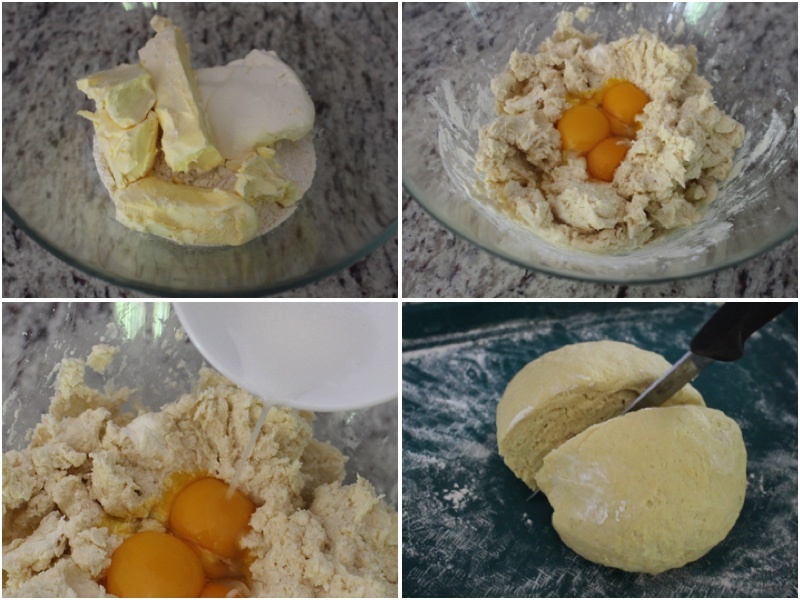 Mix using your hands and add your eggs. 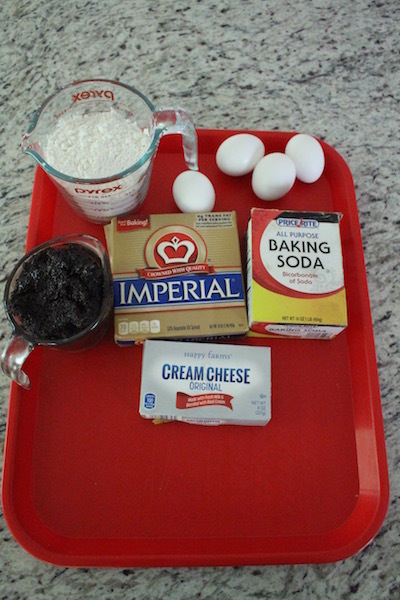 After add your baking soda vinegar mix and mix together well. Place your dough on a lightly floured surface and split into two pieces. 2.) 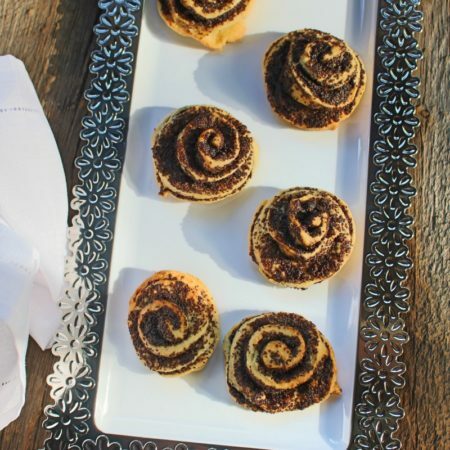 Roll out your dough and spread poppy seed butter on top with a spatula. Next roll up your dough and cut it into even individual pieces. Using your hands connect the bottom piece of the dough ball. 3.) Place all of your d0ugh pieces on a baking sheet with parchment paper. Bake for 25 minutes on 350ºF. Place on a serving dish and enjoy. In a large bowl place your butter(room temperature ), flour and cheese cream. Mix using your hands and add your eggs. After add your baking soda vinegar mix and mix together well. 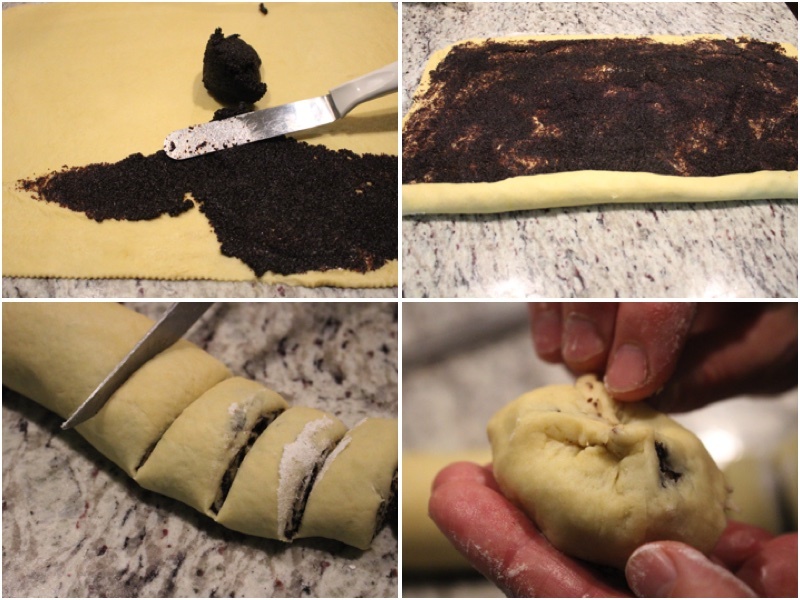 Place your dough on a lightly floured surface and split into two pieces. 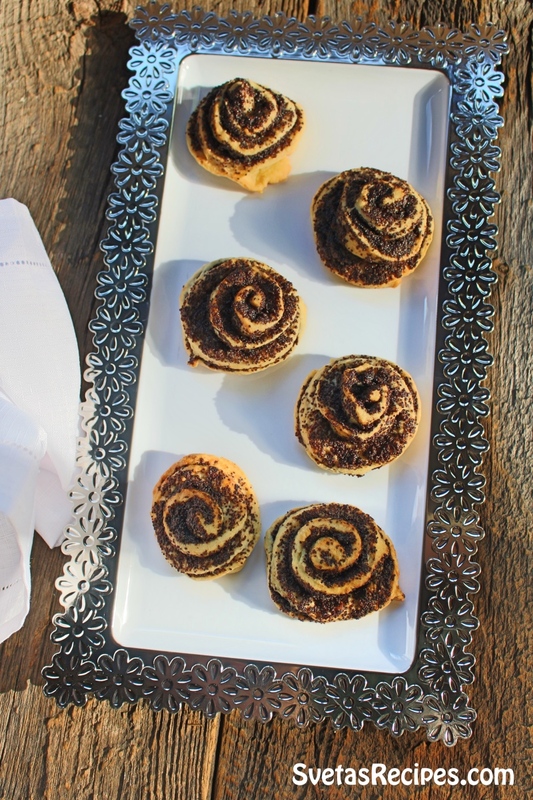 Roll out your dough and spread poppy seed butter on top with a spatula. Next roll up your dough and cut it into even individual pieces. Using your hands connect the bottom piece of the dough ball. Place all of your d0ugh pieces on a baking sheet with parchment paper. 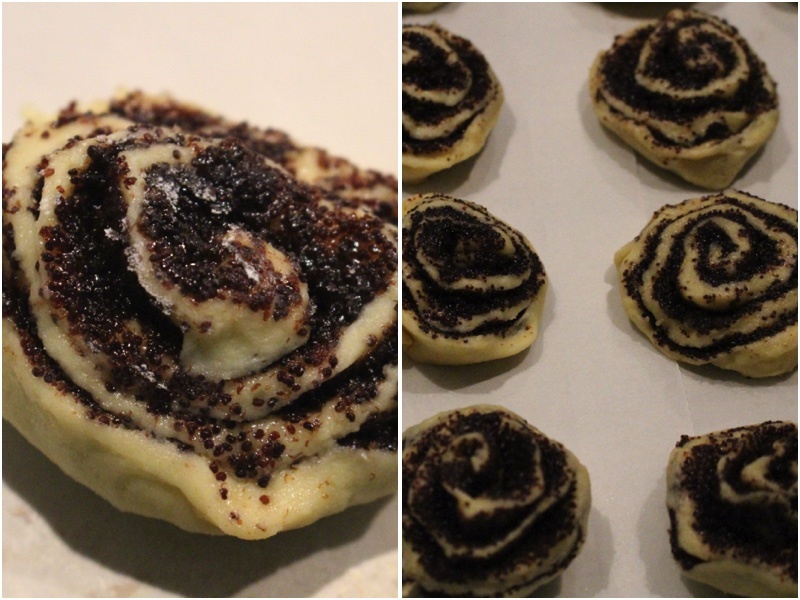 Bake for 25 minutes on 350ºF. Place on a serving dish and enjoy.